Lead researcher, Professor Chris Sobey. Source SBS. In breaking news across major Australian media outlets this week, Australian pre-clinical research has established that systematic administration of placental stem cells, after ischaemic stroke, stimulates significant neuroprotection and facilitates brain recovery and repair1. This seven-year Australian study tested the efficacy of Human Amnion Epithelial Cells (stem cells from the placenta) on mice. La Trobe University researchers found that the intravenous injection of these placental cells, whilst most effective within 90 minutes post-stroke, still delivered long-term functional benefits if cell administration was delayed up to three days after the stroke occurred1,2. This breakthrough study aims to improve upon the limited treatment options available for stroke, through the use of stem cells that are usually discarded with placental tissue post-birth1. Stroke is a leading cause of disability with one stroke occurring every 9 minutes3. Human trials will commence later this year, led by Monash Health Director of Neurology, Dr. Henry Ma, and his team2. Research indicates human amnion epithelial cells and umbilical cord derived mesenchymal stem cells (MSCs) exert their regenerative capacities in a similar manner. Scientific research is already investigating how cord tissue MSCs may provide future regenerative therapies for a number of neurological conditions, including stroke and cerebral palsy. Duke University in the United States has established a phase 1 study to assess the safety of intravenous infusions of umbilical cord tissue MSCs in children with autism spectrum disorder. They are also currently recruiting for a phase 2 study of allogeneic (genetically similar but not identical) cord blood infusion for adults with ischemic stroke. Australia’s first clinical trial of stem cell infusion from cord blood as a possible treatment for cerebral palsy is taking place at the Royal Children’s Hospital in Melbourne. 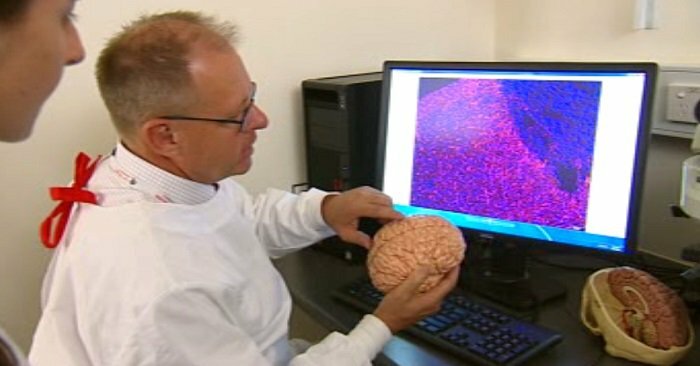 The study, led by the Murdoch Children’s Research Institute is funded by the Cerebral Palsy Alliance Research Foundation and Cell Care. Expectant parents interested in learning more about storing their baby’s cord blood and cord tissue stem cells can access our free info pack from the link below.